Ker Plunk! Another virtual Easter Sunday edition is hitting your front porch! It's chilly and and sunny around here. So, let's get started with a big "cup o joe!" Page 1.- The Week that Was: The state of Indiana dominated the week of course and igniting my passion to the point of being called a hater because of my opinions. I'm sure by now, you have heard of Indiana being "persuaded" to rewrite it's potentially discriminating religious freedom law essentially because of two sentences which included a business's right to keep us out. (The others uphold a person's personal right.) OK, an over simplification but enough is enough and Indiana is moving on to attempting to pass complete legal rights for the LGBT community. Of course this morning I just watched a story on the local television news here in Cincinnati, Ohio showing a gay/lesbian group supporting a bill that would include them-but not transgender women and men. I refused to get "passionate" this morning about stupidity! Page 2.- Movie Reviews: Yesterday, Liz, myself and her 17 year of son went to see the movie "Furious 7". Because he was peeing down his leg to see it. I used my senior discount and told myself I would not go to sleep during the action film of the year. 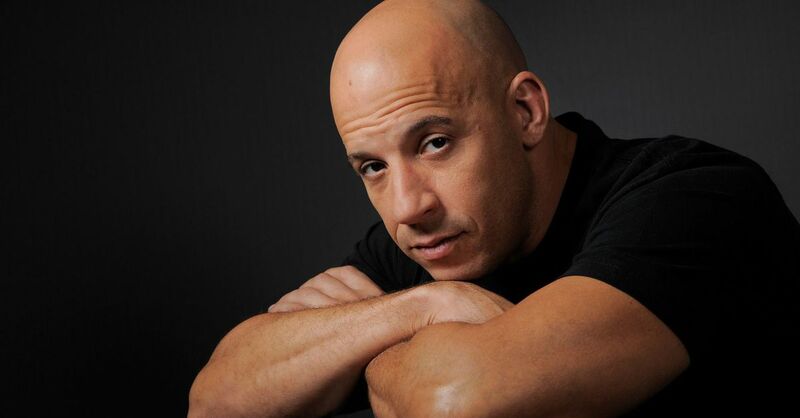 I most certainly will not give you any "spoiler" alerts-except to say I did stay awake and positively loved Vin Diesel. Other of the lead stars like Dwayne Johnson (The Rock) is just too much of a steroid pumped action hero doll for me, and most of the other actors in it were just too "pretty boy" for me. Vin just struck a cord. Maybe one of many ideas sudden trans "expert" Zoey Tur spewed was that sooner of later, estrogen would "overcome" my years of testosterone and I would wake up desiring men sexually was true-with Vin! Page 3.- Arctic Circle Sue.- Don't tell anyone, but I am absolutely addicted to certain "reality TV shows" no matter how much "reality" they really have. Mike on "Dirty Jobs" is another man I love, but then- there is Sue Aikens! Sue operates a camp very close to the Arctic Circle called "Kavik". She is part of a reality show on the "National Geographic Channel" called Life Below Zero. She is positively one of the top women I am more than fascinated with (and maybe a little scared of) on television! And oh, by the way, I have come to consider why those pesky aliens just can't stay away from our world! Maybe it's because it is we are just so damn cute? Or maybe is it we are so good at discriminating against and killing our own? Often under the guise of religion? Beam me up Scotty-there is no intelligent life down here? Page 4.- The Back Page.- I believe this is the first time I have ever featured two non transgender or cross dresser pictures in one of my blog posts but I am sure I will make up for it in the future! Thanks sooooo much for visiting Cyrsti's Condo!